The European Commission – Directorate General for Agriculture and Rural Development (DG AGRI) and the European Investment Bank (EIB) are pleased to announce the upcoming fi-compass event ‘EAFRD financial instruments – adequate products for financing rural infrastructures’, to be held on 13 February 2019 in Brussels, Belgium. This fi-compass EAFRD event aims to further raise awareness and facilitate exchange of experiences and ideas on the potential for financial instruments in supporting agricultural and rural infrastructures under the European Agricultural Fund for Rural Development (EAFRD), to investigate the financing gap for infrastructure investment in rural areas and to discuss how to set up adequate and effective financial instruments. For such purpose, the event will focus on how to match the EAFRD managing authorities’ needs in terms of infrastructure with the financial intermediaries potentially interested in investing in agricultural and rural infrastructure. With this in mind, the active participation of the attendees will be stimulated during the event. The event is especially designed for EAFRD managing authorities and for financial intermediaries, as well as for other stakeholders that are interested in the potential use of financial instruments dealing with infrastructure in the rural and agricultural sector. 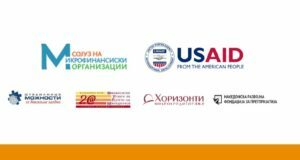 This event is especially designed for EAFRD managing authorities and for financial intermediaries, as well as for other stakeholders that are interested in the potential use of financial instruments dealing with infrastructure in the rural and agricultural sector. Online registration for the event will be open until Wednesday, 6 February 2019.